I’ve been doing a lot of thinking lately about how to set up the perfect sales funnel to maximize my customer value. I’ve been testing this offline but the principles remain the same and you can use this for your online ventures too. Whatever Customer Acquisition Model you use you always need to be focusing on how to maximize the value of each customer you do business with. Whether they buy a $7 ebook or a basic mobile site design for $197 the question remains the same. The answer lies in the backend of your sales funnel and in my opinion it should centre around some sort of recurrent billing type payment. I came to this conclusion because when I started my own offline business I didn’t want to just replace my old “wage slave” existence with a new one. I wanted more freedom and time to do what I really wanted to do. I didn’t want to be under pressure each month chasing new sales just to make ends meet and the way around this I found to work best is to incorporate recurrent billing into every service you offer. Even if it’s only something nominal like $30 per month you know that for every 10 new clients you take on you are adding $300 residual monthly income to your bottom line. It may not sound much at the moment but if done on a consistent basis you can be on your way to a nice little retainer each month – even if you don’t take on any new clients! That is the way I operate and I suggest you have a think about it too. How can you include some sort of recurring payments into your sales funnel so that you’re guaranteed some cash each month? If you’re operating solely online then perhaps adding a low priced membership on the backend of whatever products you release could be a good idea. Even 100 customers X $4.95 per month amounts to nearly $500 residual each month. Another benefit of this is that affiliates love recurring commissions and so you may find your launches become more successful as you add these recurring billing products to your backend. 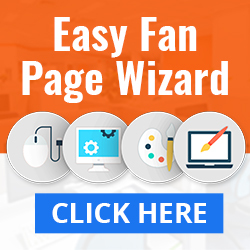 I personally know of one major marketer who has combined a lot of his past products and re-purposed them in a membership site which he offers on the backend of every launch that he does. If like me you also work in the offline world then you are really spoilt for choice on what services you can offer to people. As much as I like a big web design project that pays 4 figures I’d much prefer to take less money upfront and earn more residual income. It takes a lot of the pressure off my workload and over the lifetime value of each customer I actually earn more. The other upside to this is it makes it easier to upsell other more expensive services down the line. What I mean by this is you can bait them into your sales funnel at a low-end price point and overtime transform then in higher value customers. That’s pretty much what a lot of IM coaches do, you first off buy their cheap little e-book and overtime you begin to want to learn more from them and in the end join their high end coaching program. Either way whatever you decide to do I hope I have given you some food for thought and got you thinking about how you can increase your business by adding a recurring element to the backend of your sales funnel. If you have any other idea’s about how to increase this please leave a comment below. I’d love to hear what you think…. 20 replies to "How Important is Your Backend?" As you say, one off payments are great but generating a residual income gives you a more solid base for your business model. The whole ethos of this is building trust and a relationship with your customer. Once the customer realises what you produce is valuable to them, and can help them progress, they will want more of your products. They will be prepared to enter into a recurring billing process as they trust you and know that what they receive from you will be worthwhile. 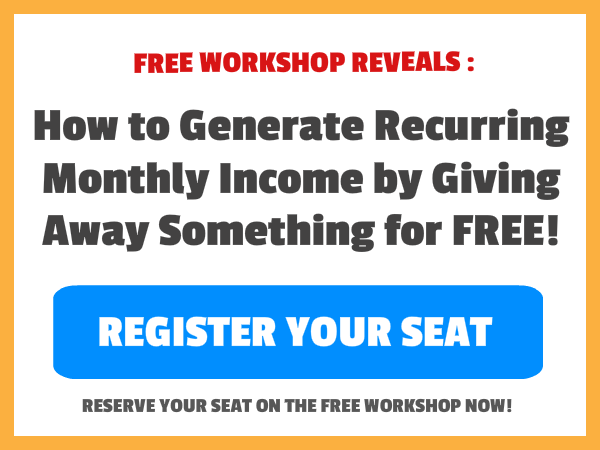 Attract big numbers into your billing list and those $5, $7 and $9.99 recurring income streams, that people are happy to pay as they’re not massive amounts, soon add up. Great article Noel and a good insight into how small gains, accumulated together, can really make a big difference. You’re absolutely right. Doing business and getting customers is always a challenge, offline and online. To keep them even more. As Dean says it’s all about trust and relationship. In an online business it’s even more ambitous, because it’s more anonym at first. In my opinion It is much easier to contact somebody in the real world. You can interact, talk, shake hands, keep eye contact, smile etc. Quite fast you know if you find somebody congenial or not. Online, the first thing what a visitor sees is a website and he doesn’t know right away who’s behind it. This is every bloggers job to gain that trust as quick as possible and deliver good quality. I think the reader will come back again. If the offer is great, he’ll be ready to pay on a monthly basis and that’s the real jackpot. Good luck with your projects. I like the layout of your theme. Glad you enjoyed the post and thanks for adding to the discussion, you make some good points about building trust etc. As someone very interested in operating a low cost high value membership site , I found this a great read and you’ve actually convinced me it’s the way to go. Very good idea, hope you follow through and get it up and running. How’s it going great new post membership sites are defintely the way to go on the backend of your business I totally agree with you, building that solid relationship is what so many marketers neglect lets be proud to be different and prove that ethical marketing is not dead. You got it mate, couldn’t agree more. It can take a lot of time to set everything up but I think it’s the way to go, especially if your goal is to build recurring income. I think having a low priced front end is the way to go. People don’t really think much about spending under $10 online but higher priced products will be harder to convert. So over delivering on low priced products will gain you customers that will come back for more. When they realise you give great value for money you can upsell to higher priced products, sell more low priced products and also sell recurring billing products like membership sites or software. I think using JVs and affiliates to build you list is also the way to go. Its worth giving affiliates 100% commission on the front end product just to gain new buyers to your list that will have a good LTV. I’m still working on my funnel, this does take time but its worth getting it right. I know that’s probably not attainable to many of us in the short-term but I think it gives you a good idea of what could be done. Great post. I definitely see the value in offering a recurring membership as an upsell for recurring income on the backend. I’d like to start a membership site soon, and like Mark said, your post gives me the assurance that this is the right move. One step at a time, as they say…but it’s definitely a goal I’m keeping my eye on. I really believe “one step at a time” is the only way to go. It’s easy to rush on ahead and in the end go nowhere but if you have a plan and work consistently at it anything is possible. Btw I had a quick look at your blog, you’ve a really good writing style….must keep an eye on your posts as you move forward! I really enjoyed this post, and it hit home with me. I am just creating my very first (paid) product in, and i was looking at maybe offering a recurring billing option on the back end. You have convinced me. Do the work once, and get paid again and again! It’s like receiving royalties! Thanks Noel, looking forward to your next post. Do the work once and get paid over and over again. I last heard from you. is the most important part of an online business. I created my first product. That’s great you’ve got your product finished, well done. I’ll look forward to hearing about it on your blog sometime. Well, for passive, residual income a membership site might be the best way to go. If you haven’t any membership site of your own, then you can just promote a continuity site as an affiliate. There a lot of good choices in that area. building a responsive list might also be a way to go. It is not what I would call SECURE money, but the potential is there. And if you cans setup some sort of autoresponder sequence, and get organic traffic, it will pretty much take care of it self. Long term, I would like to build a membership site of my own with my own products. But that is way in the future, for now I will have to focus on taking the next step. I’m sure that would be very useful especially if you don’t have a membership site of your own just yet.